The substance abuse treatment field is in the middle of a series of shake-ups that have been both good and bad. One of them was the temporary banning of paid ads through the Google AdWords platform for rehabs and treatment centers. They have since allowed those to pay for ads again as long as they go through a third party shakedown verification system. However, this has become a costly and time-consuming endeavor for many programs – to pay in order to play (and pay some more). Toss in the ever-tightening squeeze of insurance carriers who are continually trying to decrease their payouts for services, and it has been a difficult time for many facilities over the past few years. What this means is that never has there been more of a need for admissions training to improve the conversions of inquiries to enrollments. Unfortunately, many good programs have closed their doors or are going through some type of bankruptcy situation due to the conditions mentioned above, and learning higher-quality admissions skills could have helped prevent some of this from occurring. Advanced Recovery Resources has been successfully working with facilities for may years to help them improve the quality of their marketing and admissions processes. We have seen the need over and over again for better call center training, and we decided to make it available in an online course that can be accessed by all facilities, whether there is a single person handling every call, or a team of dozens working with thousands of calls each month. This course includes the same information that has helped generate thousands of admissions and tens of millions of dollars in revenue and created a growing operation in every facility where it was used. Now you can take advantage of this information for only $499 for a limited time (price will go up to $999 after introductory offer). 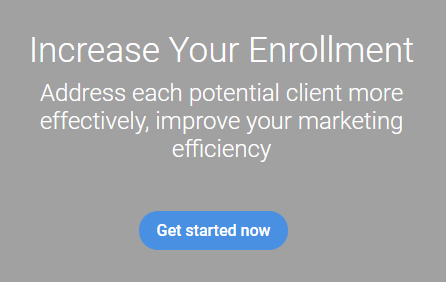 Click here to go enroll now!